May 2017: Downscaled temperature change scenarios are available for RCP4.5 and RCP 8.5 CMIP5 ensemble. (1) Provide detailed diagnostics of regional climate variability and trends. (2) Identify large-scale climate drivers of local climate anomalies and climate change. 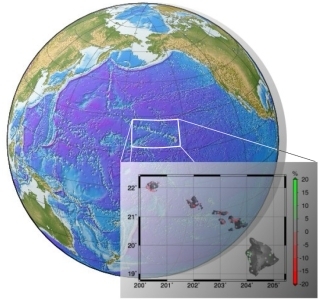 (3) Apply statistical methods to estimate future climate changes in Hawai‘i from state-of-the-art global climate models. (4) Make our climate research results accessible to the community. Honolulu District under Section 22 of the Water Resources Development Act of 1974.